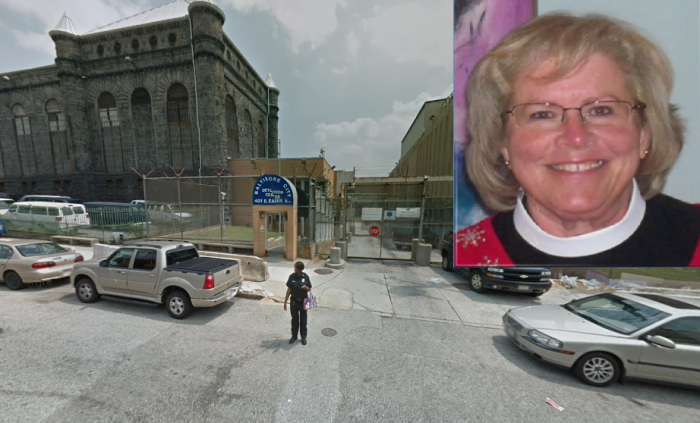 In a gracious turn of events Thursday, embattled Episcopal Bishop of Maryland Heather Cook posted an "unprecedented" $2.5 million bail to free herself from the Baltimore City Detention Center where she had been locked up since last Friday after she was formally charged with the drunk-driving death of 41-year-old father of two Thomas Palermo. "She has been released. She's going directly to an inpatient alcohol treatment facility and she will not be driving pending trial," confirmed Cook's lawyer, Jose A. Molina, in an interview with The Christian Post. Mark Vernelli, communications director for public safety in Baltimore City, also confirmed the news saying she left the Baltimore City Detention Center some time between noon and 1:30 p.m. Thursday. At a bail hearing Monday, Cook's lawyer had argued that she could not afford the $2.5 million bail penalty, calling it essentially "no bail." He asked the presiding judge to lower the amount but the judge refused because she felt Cook was dangerous and a flight risk. In a series of tweets Thursday, WBAL-TV investigative reporter Jayne Miller noted from the scene that bail industry sources called Cook's bail development "unprecedented." "Bishop Cook posted $35,000 cash and signed note to pay $1,000/month for 215 months to bail bondsman to make her $2.5 million bail," tweeted Miller. The bishop was also reportedly allowed to leave the detention center and moved to a secure area away from cameras and onlookers, unlike most defendants who have to walk out to the street after the release. Miller said a friend drove Cook from the facility with her dog in tow in the back seat of the car. She's expected to return to court in early February for a preliminary hear where a date for trial will be set. Disciplinary proceedings against Cook by the Episcopal Church are also ongoing. In a pastoral letter to the diocese Tuesday, The Rt. Rev. Eugene Taylor Sutton who heads the Episcopal Diocese of Maryland revealed the pain Cook's tragic alcoholism has brought on the church and shared how much grief it has personally caused him. "The Diocese of Maryland is in deep pain. Words barely express the depth of our shock and despair over the events and revelations of the past two weeks in the aftermath of the tragic collision involving Bishop Suffragan Heather Cook," he said.